It’s officially summertime. Yay! You know I’m talking about the school calendar, right? The last day of school was Friday and my kids are super excited to have a couple of months off. I’m psyched because I won’t have to wake up at 6:00 am for awhile. Hooray! 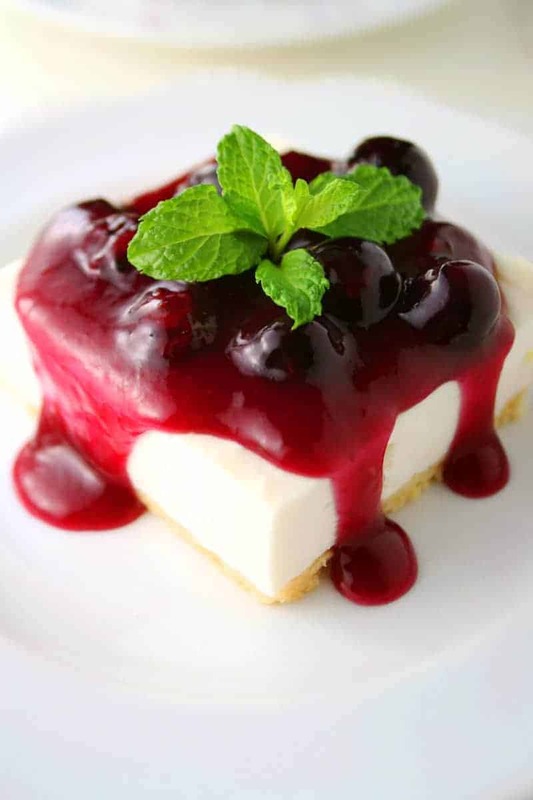 Summer is a great time to make light desserts with berries. Especially locally grown blueberries Fresh From Florida! 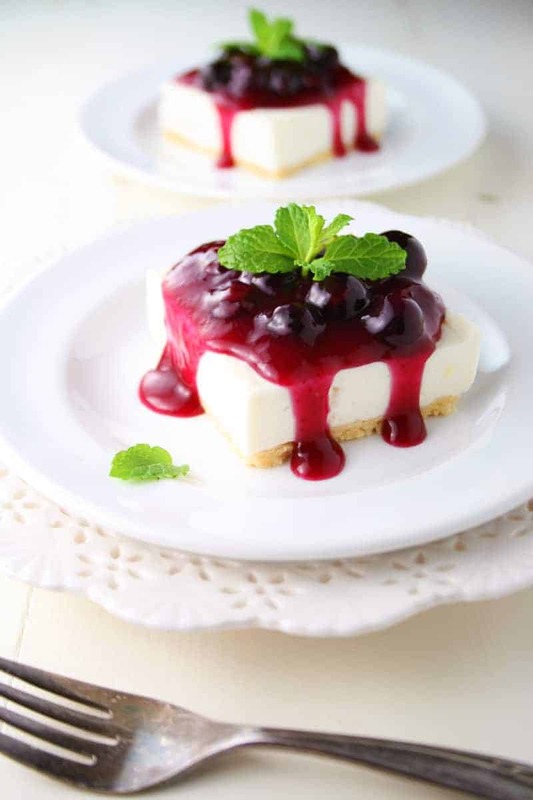 Skinny Blueberry Cheesecake Bars are a lightened up version of a traditional cheesecake using lowfat cream cheese and sugar substitute. Then topped with a heavenly sauce made of Fresh From Florida Blueberries. 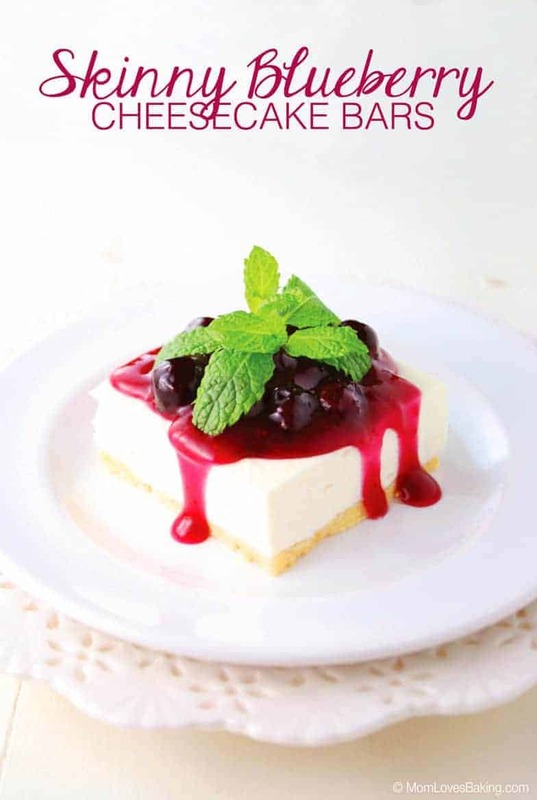 It’s berry delicious and you won’t miss the calories one bit! It’s gluten free too. The best part about this recipe is that it’s NO BAKE. The less I have to turn on the oven in the summer, the better! I was raised in Florida and we also have a home there. I love that Fresh From Florida and the Florida Department of Agriculture guarantees fresh and delicious food that makes every recipe a win. 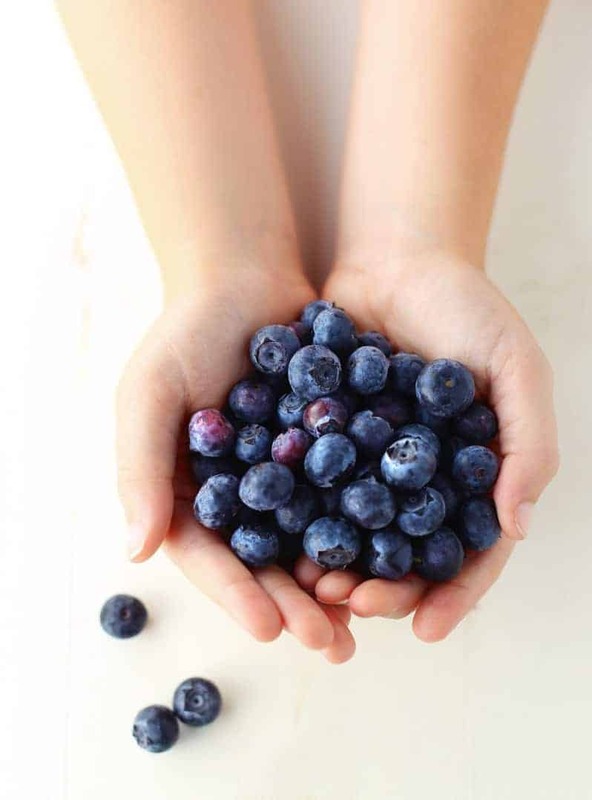 In addition to blueberries, be sure to check out the other seasonally grown items that come Fresh From Florida and are available in stores now such as tomatoes, sweet corn, watermelon and of course, seafood which is one of my personal favorites! To make Skinny Blueberry Cheesecake Bars, start by making a cookie crumb crust. Line an 8″x8″ pan with foil, letting some hang over the edge. Combine gluten free cookie crumbs and light butter in a bowl, then pour into pan and press down to form crust. Refrigerate while you prepare filling. Whip up the filling. Beat cream cheese and sugar substitute until creamy. Add sour cream and vanilla. Mix to combine. Then stir in plain gelatin which you sprinkle over cold water, then heat in microwave for 20 seconds and stir until dissolved. Pour filling into prepared crust and chill for a few hours. Meanwhile, make your blueberry sauce. In a heavy saucepan, stir together some sugar substitute and cornstarch. Add water, lemon juice and Fresh From Florida Blueberries. Stir constantly as you bring to a boil over medium heat. Boil until thickened. Remove from heat and let cool. 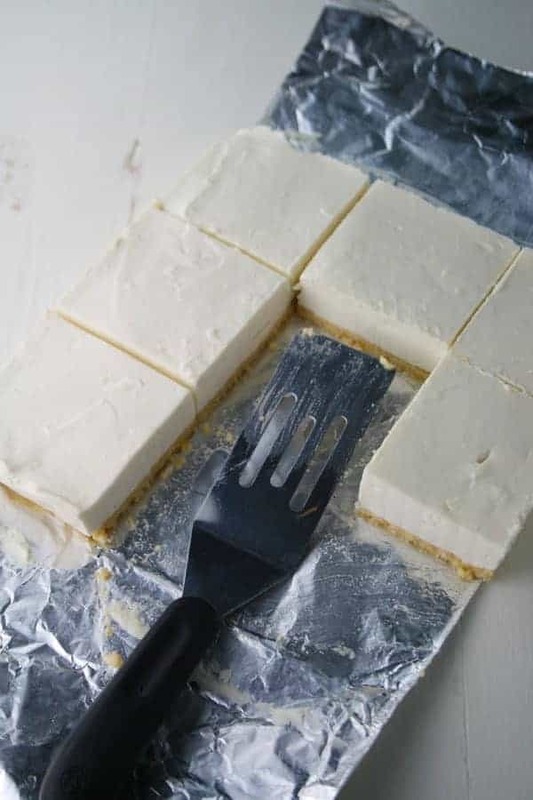 Cut chilled cheesecake into 9 bars. 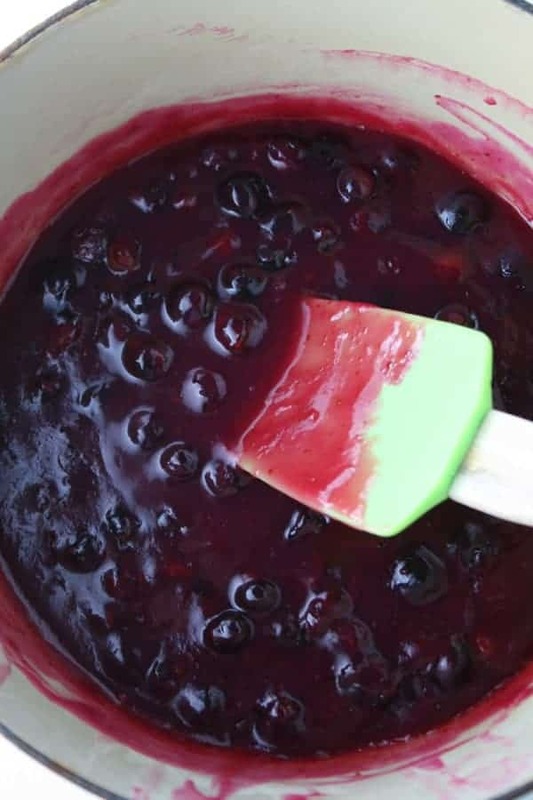 From farm to kitchen, Fresh From Florida Blueberries are so good and even better served as this wonderful sauce. Skinny Blueberry Cheesecake Bars are a great summer treat that’s easier on the waistline! Check out the Fresh From Florida website for more great recipes. 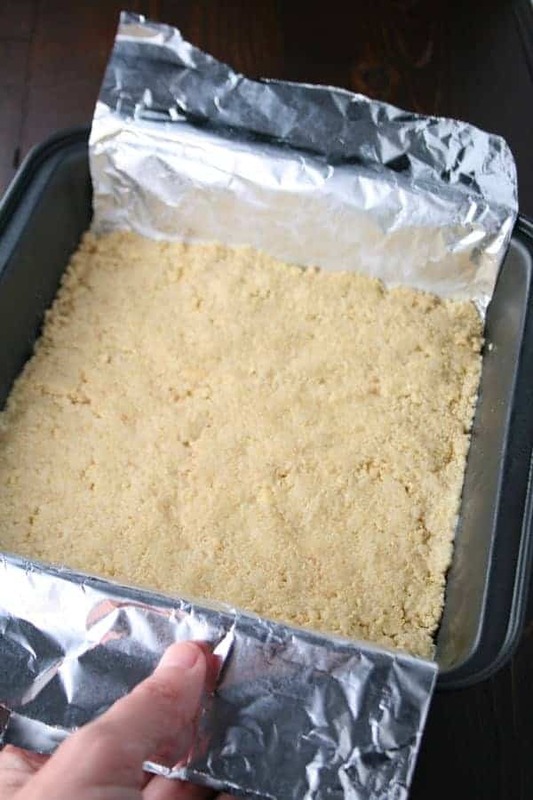 Line an 8"x8" baking pan with foil. Leave a 2" overhang on two sides. Spray foil with non-stick cooking spray. Set aside. Crush cookies in a food processor or place in a sealed plastic bag and pound with a rolling pin until you have fine crumbs. In a medium bowl, stir cookie crumbs and butter together with a fork until moistened. Pour mixture into prepared pan and press firmly to form a crust. Place in refrigertor. Pour 2 tablespoons water into a small bowl. Then sprinkle gelatin over water. Let it rest while you make the filling. In a large bowl, beat the cream cheese with an electric mixer for one minute. With the mixer on low, gradually add the sugar substitute. Turn mixer up to medium and beat until sugar is thoroughly combined. Turn mixer off, scrape the bowl, then mix again for a few seconds. Mix in sour cream and vanilla. Heat gelatin mixture in microwave for 20 seconds, then stir until completely dissolved. Turn the mixer on low and slowly add the gelatin to the cream cheese mixture. Mix until thoroughly combined. 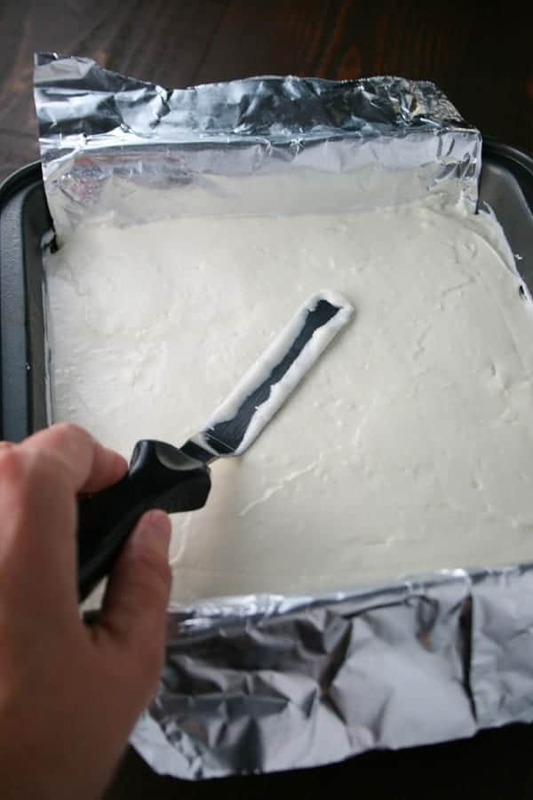 Pour cream cheese mixture into crust. Smooth top with an offset spatula. Cover with plastic wrap and refrigerate for three hours or overnight. 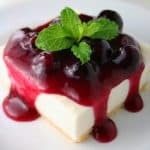 Cut into bars and serve with blueberry sauce. Store in refrigerator for up to 3 days. In a heavy saucepan, stir together the sugar substitute and cornstarch. Stir in lemon juice and water. Add blueberries. Bring to a boil over medium high heat, stirring constantly. Let it come to a boil and continue boiling for about 2 minutes or until thickened. Stir in butter. Let it cool, then serve with bars. Store sauce in refrigerator with plastic wrap right on top. 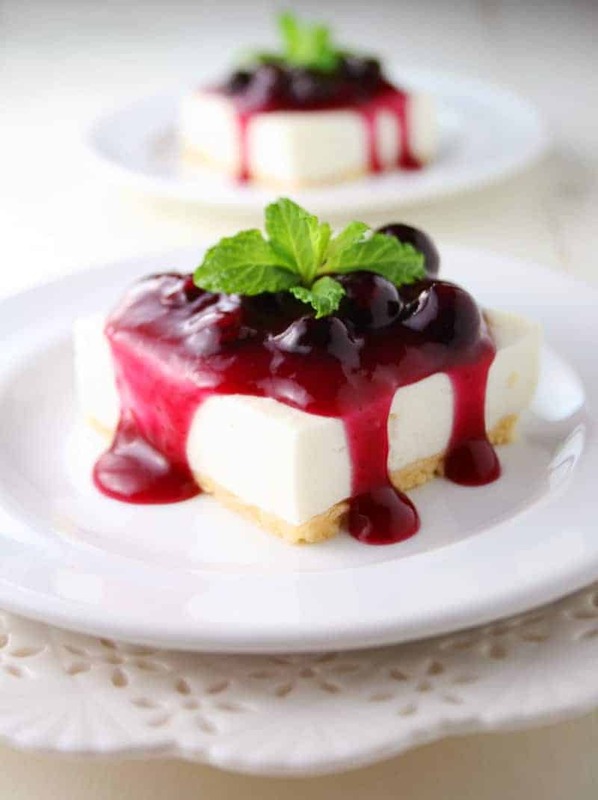 These cheesecake bars look absolutely divine and that blueberry sauce is calling my name! My husband would just die if I made these! So good! !